Published 28/11/2017 19:20:04 from Buenos Aires, Argentina, 1408 visits. 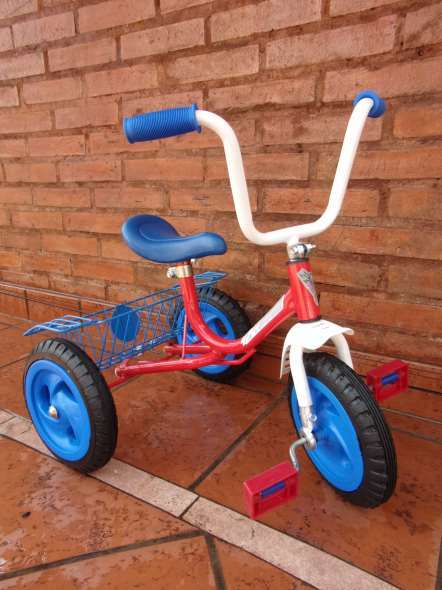 Bicycles RVB offers tricycle. Mini tricycle or cargo tricycle. Brand new. Steel box size 17: minimum height asiento-piso 38 cm. measurements: 60 x 41 cm. plastic, solid rubber wheels. Adjustable seat height. Retro cuffs. Rear Wire basket. Age: 2-4 years. Subject to availability of stock colors. Cash price. Price in installments with or without interest according to Bank promotion at the time of purchase. Location: Olivos, Vicente López (Northern) Buenos Aires.